Stanley Motta 58 Half Way Tree building. 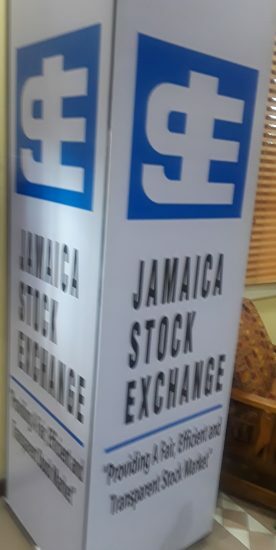 Stanley Motta led trading with 10 million shares for 84 percentage of the day’s volume on the main market of the Jamaica Stock Exchange on Thursday, down from 11.2 million units on Wednesday. 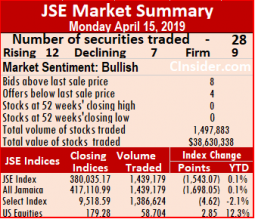 Trading ended with 12,017,340 units valued $109,444,077 crossing the exchange, compared to 22,489,492 units valued at $166,148,557 changing hands on Wednesday. 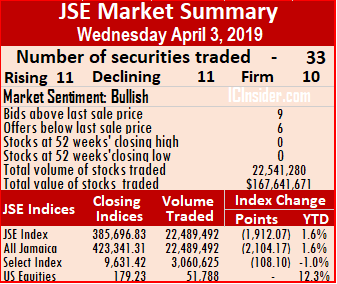 Market activity ended with an average of 375,542 units valued $3,420,127, in contrast to 725,467 shares valued at $5,359,631 on Wednesday. 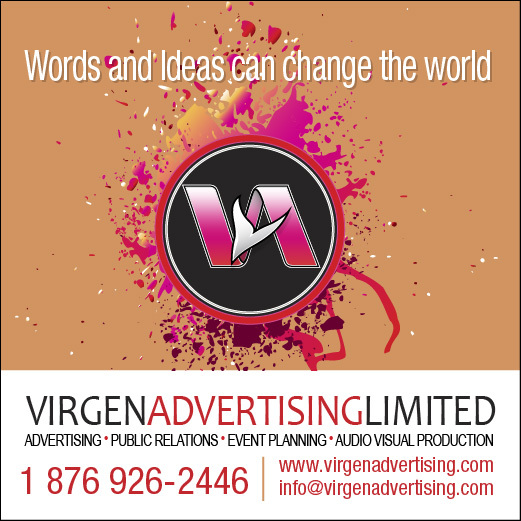 The average volume and value for the month to date amounts to 341,904 shares at $3,094,443 for each security, compared to 110,352 units valued at $1,654,394 previously. Trading for March resulted in an average of 438,501 shares at $9,851,307, for each security traded. 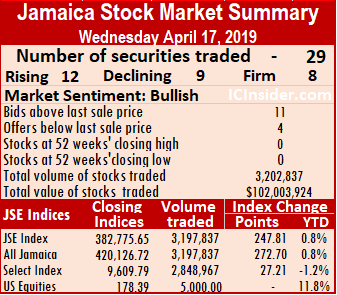 At the close of the main and US markets, 33 securities traded, compared to 32 on Wednesday and leading to 8 advancing, 14 declining and 11 closing unchanged as investors pushed Kingston Wharves by $4 to $72 and JMMB Group by $2.99 to $33. 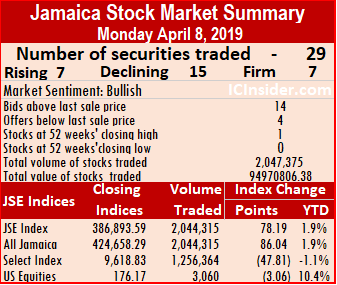 The JSE All Jamaican Composite Index lost 508.79 points to 422,832.52 and the JSE Index declined by 462.34 points to 385,234.49. IC bid-offer Indicator|The Investor’s Choice bid-offer indicator ended with the reading showing 11 stocks ending with bids higher than their last selling prices and 1 closing with a lower offer. 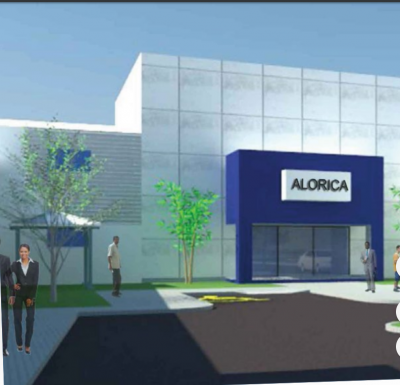 In main market activity, Barita Investments rose 40 cents and ended at $44.50, trading 11,367 stock units, Caribbean Cement added60 cents in trading of 60,212 shares changing hands, Eppley gained 43 cents and ended trading 5,150 shares at $11, Jamaica Broilers increased by $1 in trading 706,652 units to close at $32. 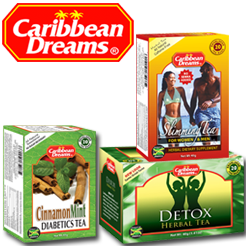 Jamaica Producers fell 90 cents to close at $22.60, with 9,509 shares changing hands. 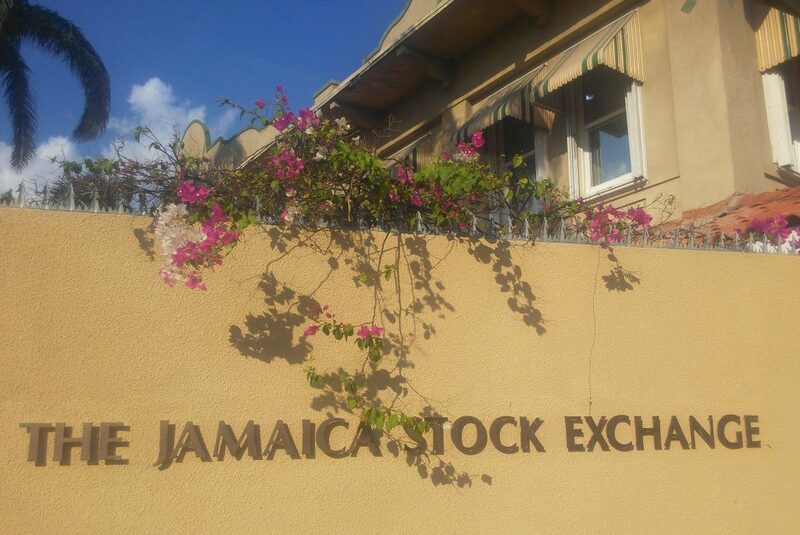 Jamaica Stock Exchange declined 95 cents to end at $16, with an exchange of 57,323 shares, JMMB Group lost $1.95 in trading of 29,136 shares to close at $31.05, Kingston Wharves dropped $4 to settle at $68, trading 2,000 units, Mayberry Investments rose 72 cents in trading 16,020 shares, at $9. Mayberry Jamaican Equities lost 83 cents and ended trading of 18,018 shares at $9.08, PanJam Investment lost $1.70 to finish at $80, trading 3,755 shares, Scotia Group lost $1.10 trading 102,176 shares at $50.20, Seprod fell 95 cents to close at $42.50 in trading 9,708 shares and Sterling Investments added 44 cents trading with 3,667 stock units at $3.99. 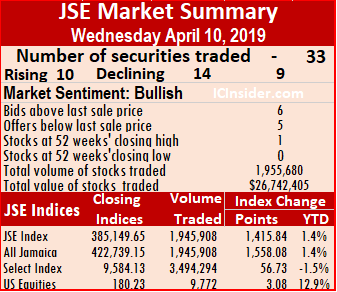 Trading in the US dollar market ended with 14,662 units with Productive Business Solution being the sole stock trading and ended at 59 US cents. 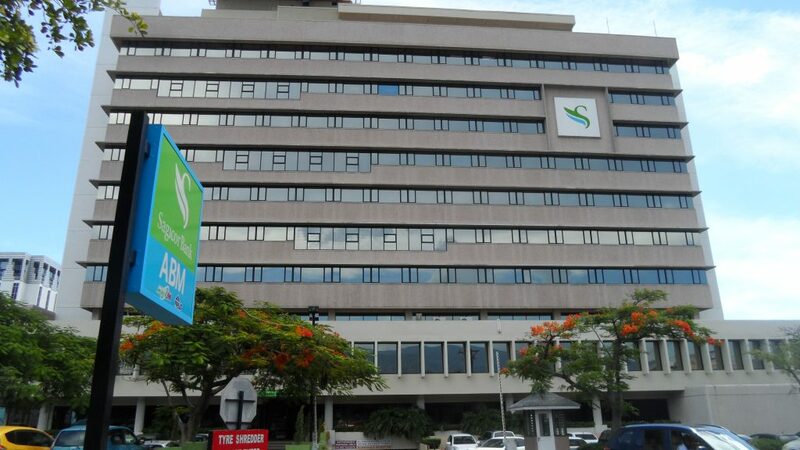 The JSE USD Equities Index gained 0.15 points to close at 179.38. 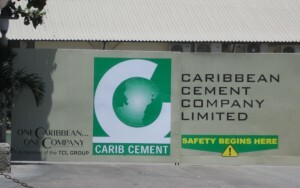 Caribbean Cement traded at a new high of $73.90 on Wednesday. 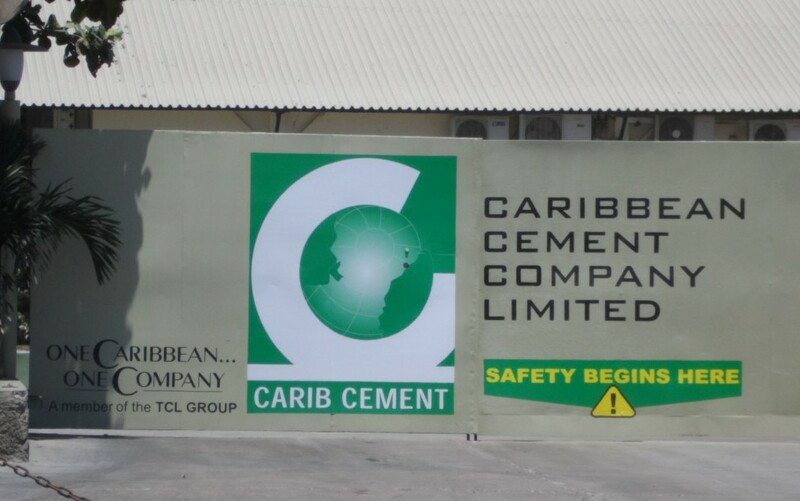 Caribbean Cement traded at a record high of $73.90 on Wednesday but closed at $60 at the close with a gain of $4 in trading 23,168 shares on the main market of the Jamaica Stock Exchange. 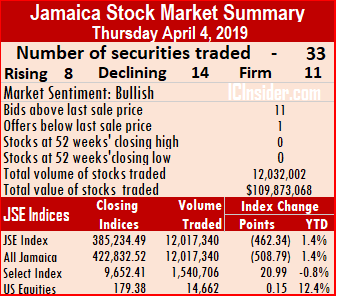 At the close of the main and US markets, 32 securities traded, compared to 31 on Tuesday and leading to 11 advancing, 11 declining and 10 closing unchanged as investors pushed Kingston Wharves by $4 to $72 and JMMB Group by $2.99 to $33. 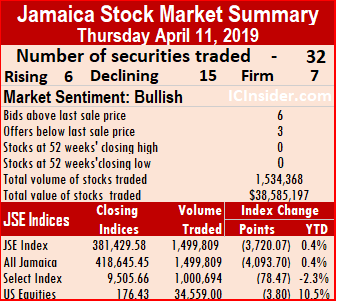 The JSE All Jamaican Composite Index lost 2,104.17 points following the 1,034.03 points decline on Tuesday to close at 423,341.31 and the JSE Index declined by 1,912.07 points to 385,696.83 after it fell 939.63 points on Tuesday. 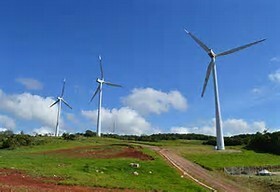 Trading ended with 22,489,492 units valued at $166,148,557 crossing the exchange, compared to 1,404,921 units at just $34,225,857 changing hands on Tuesday. On a day of increased volumes, Stanley Motta led trading with 11.2 million shares for 50 percentage of the day’s volume, followed by Kingston Properties with 10 million units for 45 percent of the overall volume shares, no other stock came close to 1 million shares. 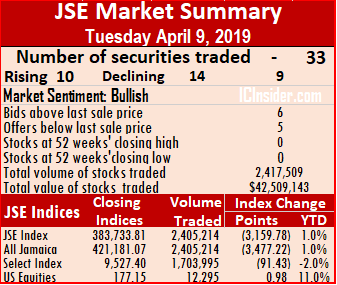 Market activity ended with an average of 725,467 units valued $5,359,631, in contrast to 50,176 shares valued at $1,222,352 on Tuesday. 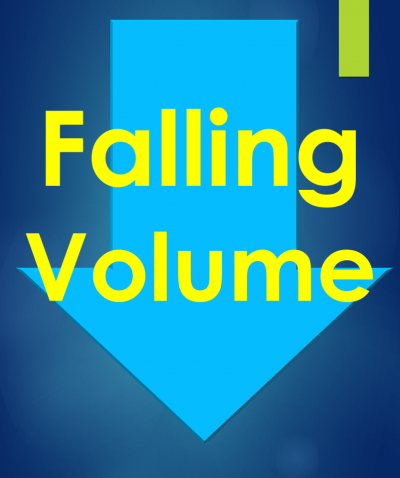 The average volume and value for the month to date amounts to 110,352 units valued at $1,654,394. Trading for March resulted in an average of 438,501 shares at $9,851,307, for each security traded. IC bid-offer Indicator|The Investor’s Choice bid-offer indicator ended with the reading showing 9 stocks ending with bids higher than their last selling prices and 6 closing with lower offers. In main market activity, Barita Investments fell 30 cents to $44.10, with an exchange of 4,767 shares, Berger Paints lost 75 cents and ended at $20.25, trading 400 stock units, Caribbean Cement jumped $4 to close at $60, with 23,168 shares changing hands, Jamaica Broilers shed 50 cents in trading 10,250 units to close at $31. 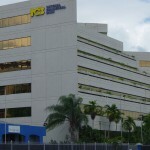 Jamaica Producers gained $1 to close at $23.50, with 10,536 shares changing hands. 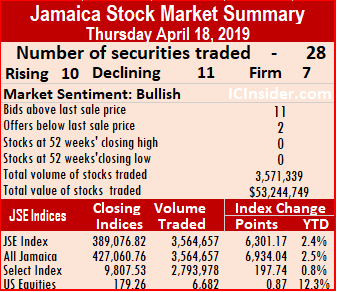 JMMB Group climbed $2.99 in trading of 10,536 shares at $33, Kingston Wharves jumped $4 to settle at $72, trading 2,150 units, Pulse Investments gained 39 cents to finish at $3.18, trading 22,130 shares, Scotia Group put on 29 cents trading 119,151 shares at $51.30, Seprod rose $1.29 to close at $43.44 in trading 2,351 shares. Stanley Motta rose 66 cents and closed at $5.31, with 11,215,430 shares changing hands. 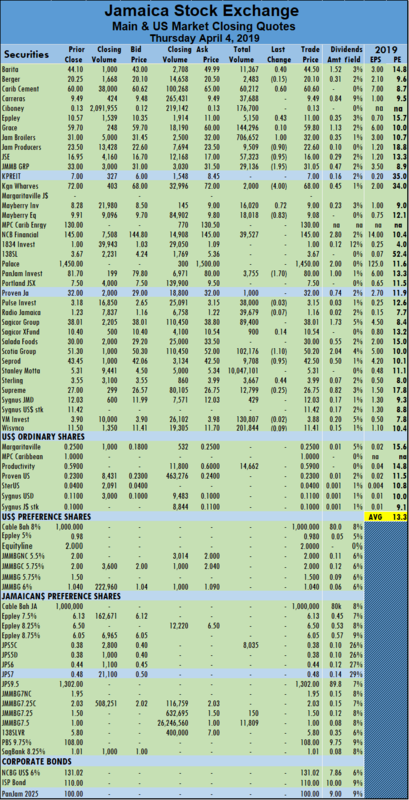 Sterling Investments lost 44 cents trading with 79,757 stock units at $3.55. 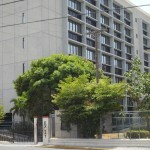 Trading in the US dollar market ended with 51,788 units. JMMB Group preference share closed trading and with 7,000 units changing hands at US$1.04 and Sygnus Credit Investments exchanged 44,788 shares at 10 US cents. 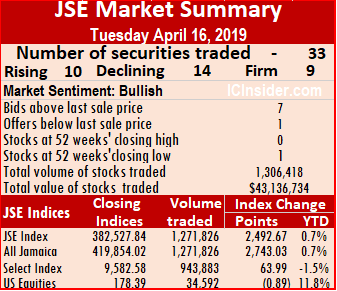 The JSE USD Equities Index remained unchanged at 179.23.